Looking for more Valentines Theme apps? Valentine Slider app – (free) Android. Provides some moderately completes designs for you to slide the pieces in place. Cupcakes: Valentine’s Day! app – (.99) Android. Decorate a cupcake valentines style with your favorite things. Check out the Valentines Day themed apps from Kindertown, a trusted source. 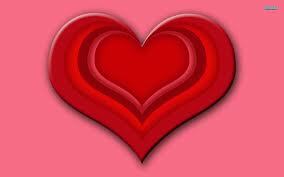 Peruse their valentines activities also for great ideas for preschool ages. Kids Fingerpainting – Valentine’s Day HD – (free) iPad – Drawing app with ability to create a frame and add a written message. Create a valentine’s day wish for someone special. 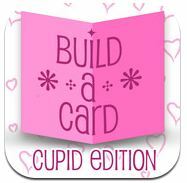 Build a Card – Cupid Edition – (.99) iPhone/iPad app allows you to create a card by choosing a theme and adding your own pictures. Do you have any other suggested apps for Happy Valentines Day? Please share! This entry was posted in Android, App Reviews, Apps for OT's, Drawing, Early Childhood, Fine Motor Development, Free apps, Holiday and Special Events, iPad, iPhone, iPod, Occupational Therapy, Uncategorized and tagged Android, App Review, Fine motor apps, Holiday apps, iPad, iPhone, iPod. Bookmark the permalink.